Welcome to our first blog series, Meet the Asha Artist! With each new post, we will introduce a new talented technician on the Asha SalonSpa team. So, without further ado… meet Haylee! How many years have you worked at Asha? I love talking to the people, and I love making others feel beautiful and confident about themselves. Volumizing Tonic – I love lots of body and volume! What do you want every client to know about you? What makes you a great Stylist/MT/EST? I have extensive training in the art of consultations. I will talk with you and offer suggestions until we find a style that you love. I want all of my guests to leave my chair feeling beautiful! Want to meet Haylee in person?! 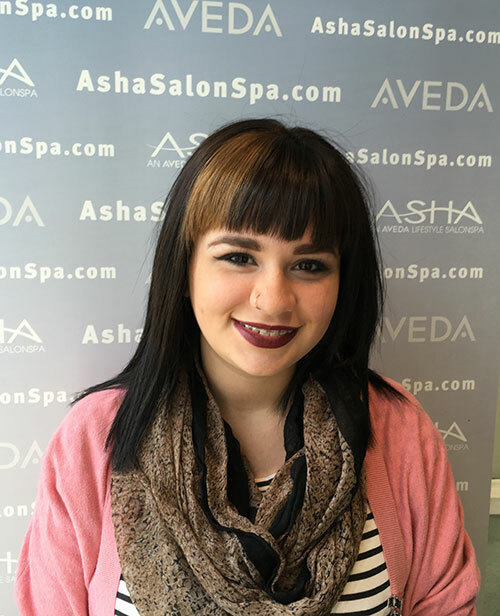 Reserve an appointment with her at Asha Bucktown today!